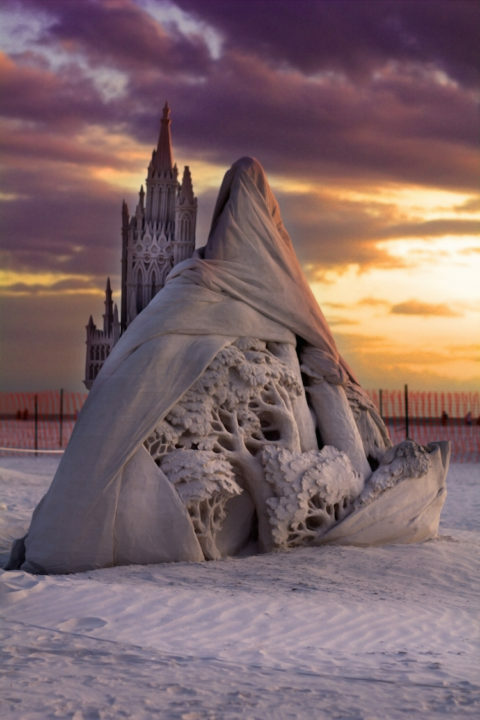 With 24 master sculptors coming from nine countries, ready to build 16 creations in sand — some as tall as 10 feet — Siesta Public Beach will be in the figurative and literal spotlight Nov. 9 through Nov. 12. The activities of the Ninth Annual Crystal Classic will start at 10 a.m. on Nov. 9 and run through 5 p.m. on Nov. 12, a news release points out. “We have some incredible artists coming this year from the far reaches of the world — South Korea, Singapore, Lithuania and the Netherlands, just to name a few,” says Crystal Classic creator and sand coordinator Brian Wigelsworth in the release. “We are happy to be presenting four additional competing sculptures this year as we go to eight solo artist competitors and eight artist doubles competitors,” he added in the release. Given last year’s success with nighttime music and sculpture-viewing, the festival will be open on Saturday and Sunday this year until 9 p.m. Live music, drinks at the party tent “and a fabulous light display of the amazing sculptures” will be featured, the release notes. The live music lineup is an eclectic roster of popular local and Tampa Bay-area acts, the release adds. Among other festival attractions will be free sand-sculpting lessons and demonstrations, an amateur competition on Saturday, Quick Sand speed sculpting, and an array of food, drink and retail vendors. Information regarding the 2018 festival schedule may be found on the website: www.siestakeycrystalclassic.com. The Siesta Key Crystal Classic is owned by Siesta Beach Festival Inc., a 501(c)(3) nonprofit corporation. The festival is produced by the Siesta Key Chamber of Commerce to promote tourism, local businesses and the visual arts through a collaborative partnership with the community, the release explains.